This is a GEM!! 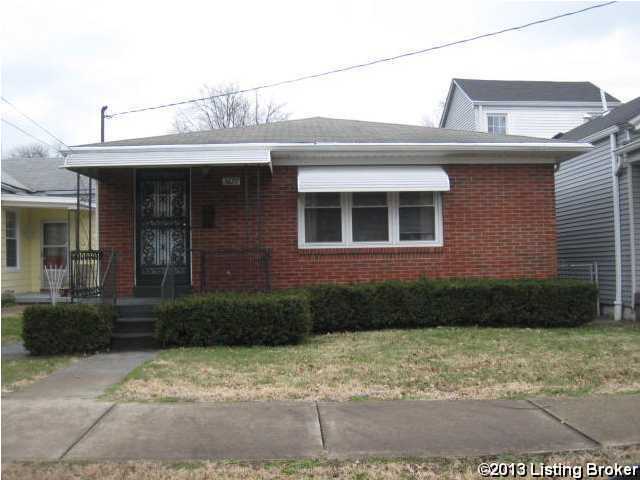 Brick 3 bedroom home in GREAT condition. This property has been very well taken care of. Living room across front of home could be living/dining room combination, carpet, flooring in good shape, hardwood under carpet, kitchen appliances remain, washer/dryer negotiable. Basement is partial finished with separate laundry area, walls and flooring in open area. Nice to have covered front porch, back patio area, and replacement windows. Bonus storage space of exterior 20'x 14' shed. House payment could be substantially less than rent. Location is just minutes off I-264, close to 2 parks, Churchill Downs. Call today. Jacobs is a subdivision within the city of Louisville, Kentucky. There are currently 0 Homes for Sale within Jacobs, with asking prices ranging from $0 to $0. The average list price per square foot of the available inventory in Jacobs is $0, which is the Louisville average of $146. The Average Sales price of all sold real estate in this subdivision for the past year is $28,250. Recent comparable homes have been selling for 96.18% of their asking price. Waterfront homes represent of the available Jacobs inventory. The population of Louisville, according to the 2010 Census, is 597,337. The total number of households in the zip code of Jacobs is 8,786, with an average household size for of 2.52 people. The total number of renter households within the zip code of 40215 is 4,533, which means that 48.41% of households in this zipcode are owner occupant households. 3677 Parthenia Ave, Louisville KY 40215 is a Home, with 3 bedrooms which is recently sold, it has 1,077 sqft, 35X145 sized lot, and 2 Car Garage,Detached,Off-Street Parking,See Remarks,Street parking. A comparable Other, has bedrooms and 0 baths, it was built in and is located at and for sale by its owner at $ 0. This home is located in the city of , in zip code , this County Other, it is in the Subdivision, and HIGHBAUGHS POWELL are nearby neighborhoods.